Smart home automation concept is not a new thing in the market. But, there are still many people having n numbers of unanswered questioned about this concept. You may what this smart home exactly is or you may also know how it works but you may not know how it’s more beneficial than any other normal home. Hence, we have underlined few the of main advantages of a smart home as compare to any regular home. In today’s scenario, smart homes are considered to be highly expensive & affordable to everyone. Yes, we do agree that one-time setup cost is a bit high. But, once you have a fully automated home, you will realise with a passage of time that it’s a cost-saving concept instead of cost wasting. You must be thinking, how’s that even possible? Well, a study found out that a fully automated home reduces 80% of human error in energy consumption optimisation. As a result, it saves a lot of energy as well as your money. If you really want to live in the eco-friendly green environment, the smart home is the answer for you. Smart home is a combination of Less Worry & More Joyful Experience & Ease of Mind. Being in a smart home is starting your day beautifully with the help of most advanced technologies. For example, you can open your eyes with a meditating mantra as background music & be in the presence of amazing sun rays as motorised blinds on windows will be rolled up automatically. You can also change the music track via your iPad, phone etc. meanwhile the kitchen will ready your coffee as he’s aware that you’re awake. These are very few and small morning routines or perks that you’ll experience. Apart from these, you can also connect to your loved ones remotely and even can operate your appliances remotely from a smartphone or a smartwatch. As everybody wants to know all the time that their loved ones are safe, security is one of the biggest aspects that we don’t take for granted. However, it’s still important to find the balance between ergonomics & aesthetics and best security systems as nobody likes annoyingly loud security systems. 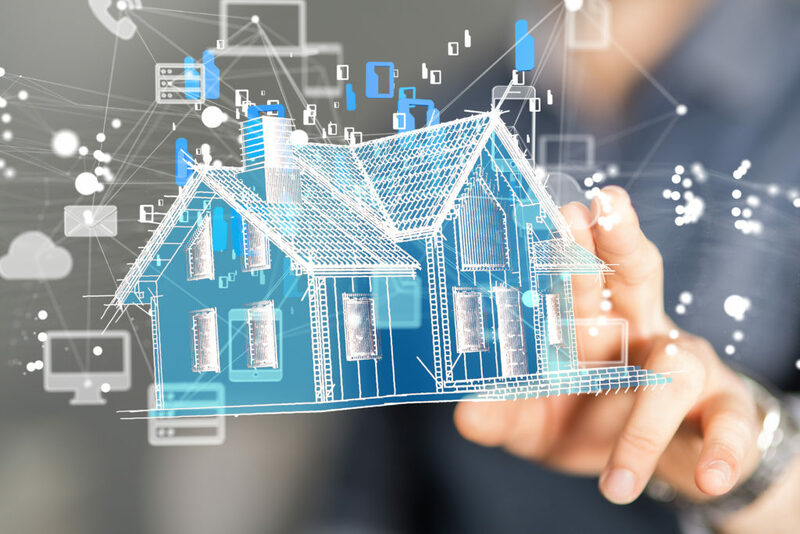 Keeping that in mind, security systems in smart home automation always provides a notification on all your connected devices instead of giving a loud sound. Setting an intruder alarm will always keep your home safe even when you’re not there. Hence, the security systems in fully automated homes keep your home safe even in your absence. The most amazing feature that smart home provides is to access your home wirelessly. This means that simply with an internet connection in your smartphone you can communicate with your home from anywhere in the world remotely. You can give any command with a single touch on your smartphone remotely. This proofs to be a great option if you deal in renting business, as you can welcome person and make him feel as he’s in his own home even when you’re not in home physically. TIME, the most valuable asset in our lives. We somehow always forget the technology is there to help us to manage time. As a fully automated homeowner, you can set schedules for your different works in advance hence can save a lot amount of time. We can set reminders for coffee making, turning the lights or devices on and off when not in use with your gadgets. A smart home will help to be a part of the eco-friendly environment, save time & money, it also offers you a comfortable environment giving a luxurious feel. Because of this, a smart homeowner will always feel more empowered and energetic living in an advanced environment.